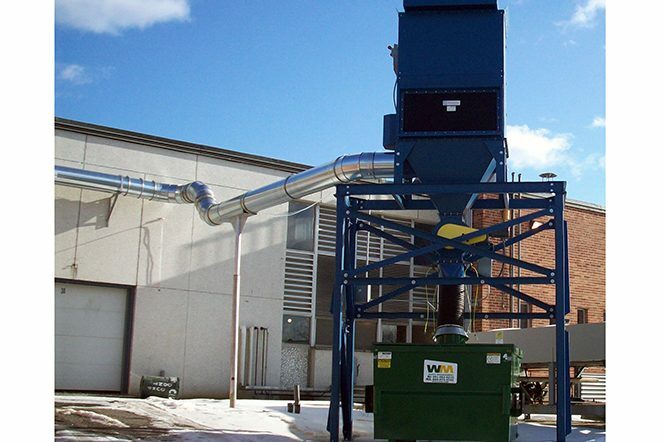 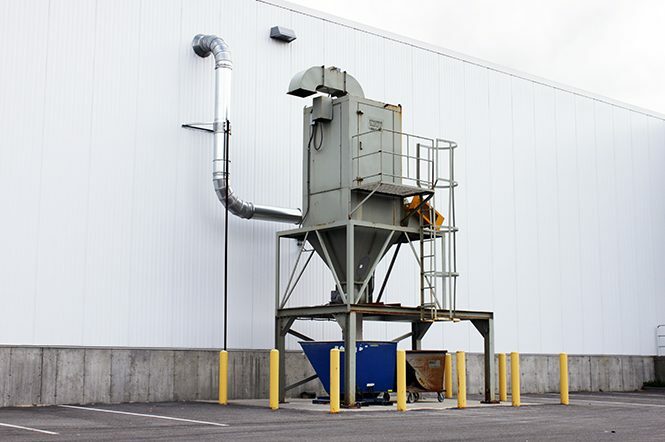 Macy Industries, Inc. Dust Collection Group is your best choice for the design, fabrication, installation, and maintenance of custom dust collection systems. 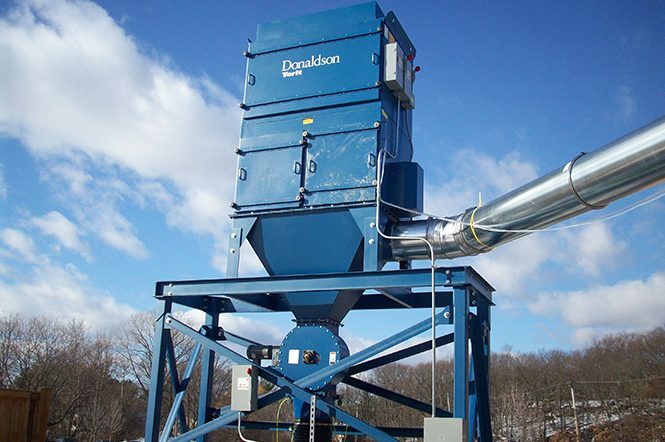 Our experience includes air pollution control products for dust, mist, fume, and industrial ventilation control systems for general industrial applications. 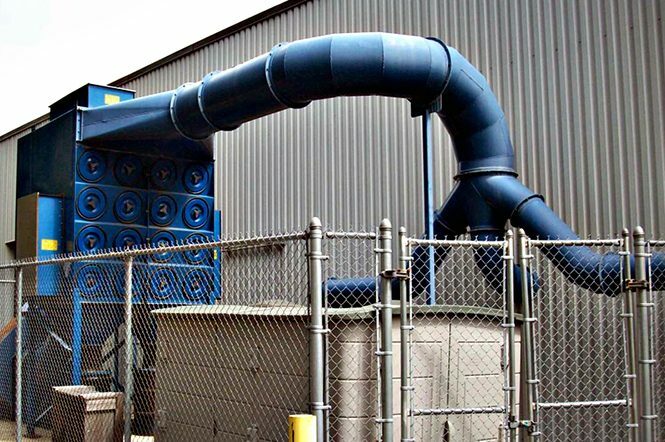 Our factory trained field technicians can provide the professional courteous support that your facility needs to continue running flawlessly. 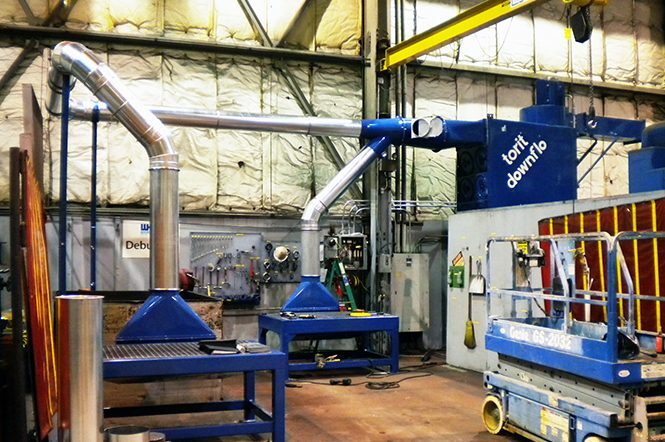 We have extensive experience with a variety of applications including: metal grinding, wood working, paint, welding fume, pharmaceutical, composite, buffing and polishing, blasting, chemical mixing, and industrial processing (both wet & dry) Macy Industries has been a Donaldson / Torit Authorized Service Center for over 20 years and has worked on all makes / models and manufacturers during that time. 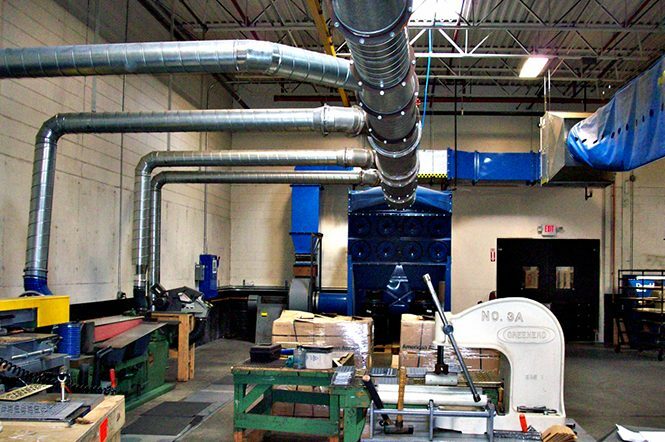 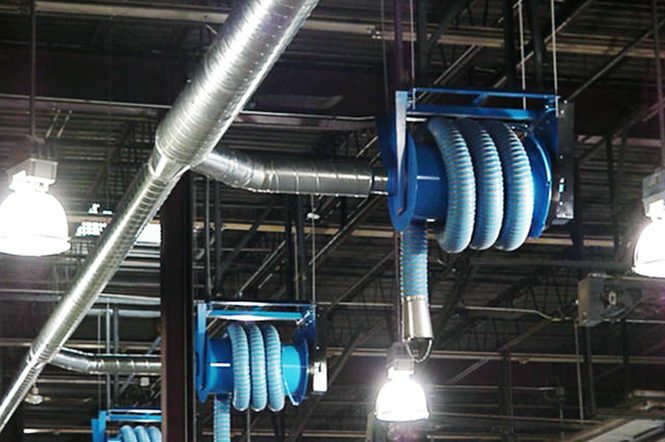 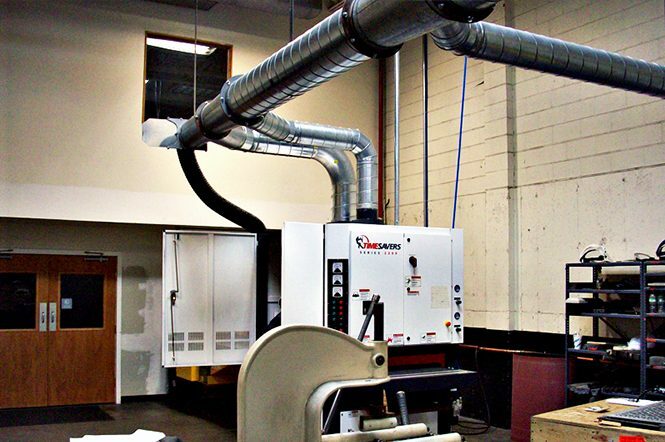 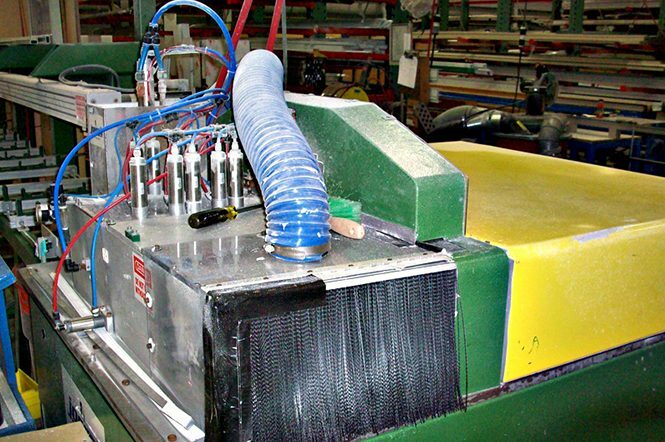 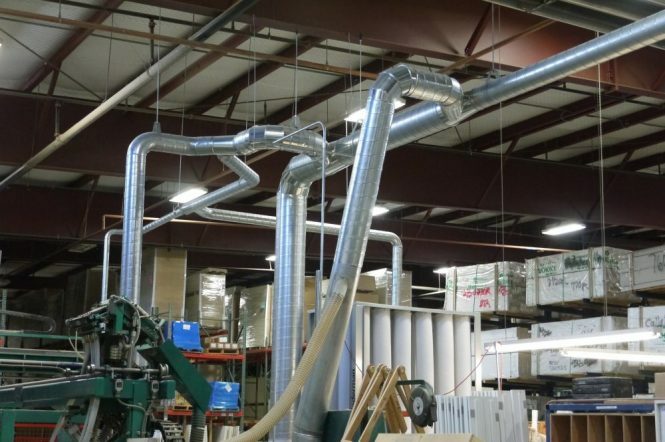 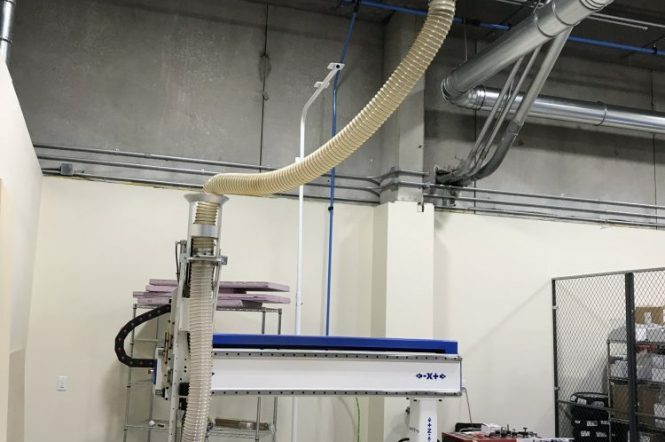 Our Dust Collector Services Group leverages our a metal fabrication capabilities to custom fabricate an array of metal duct components from your typical branches and elbows, to custom designed custom ventilation hoppers, work stations, downdraft benches or tables. 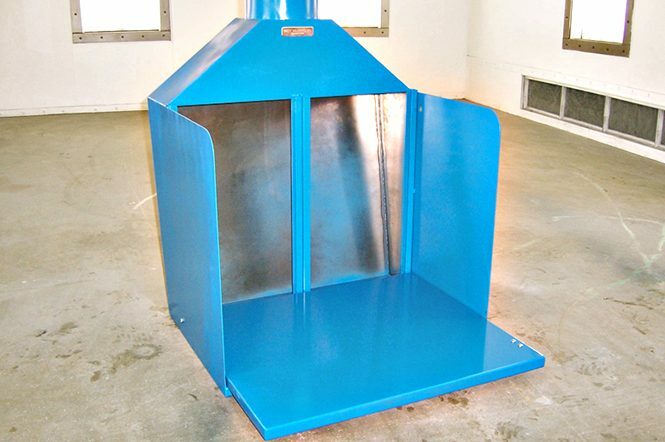 Parts can be fabricated using HR/CR steel, spot welded, or fully welded. 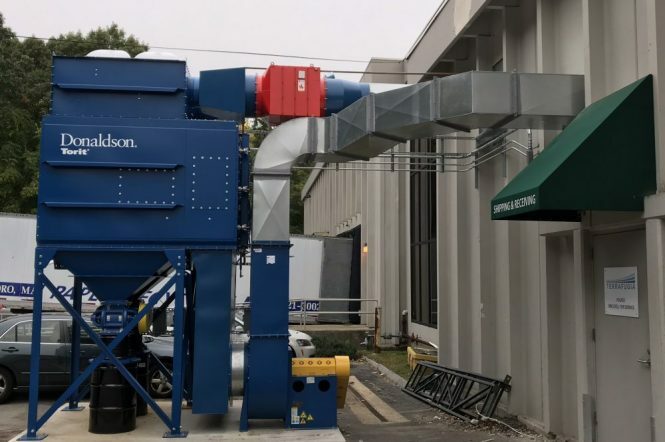 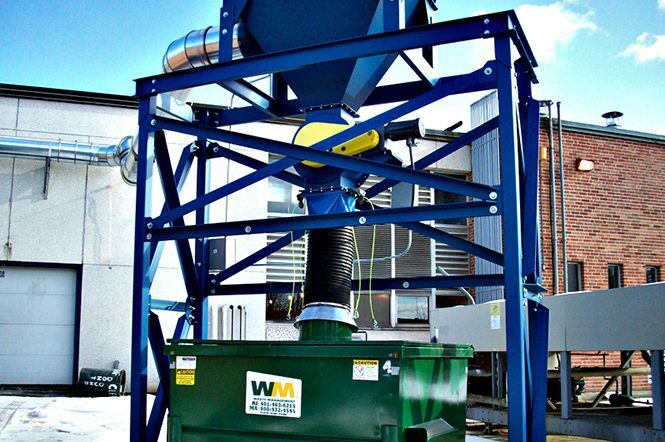 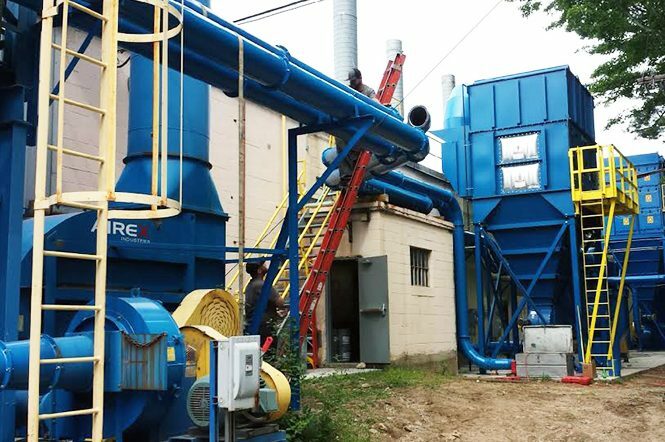 Macy Industries, Inc. is the only company that can provide its customers with on-site filter crushing to greatly reduce disposal and waste fees. 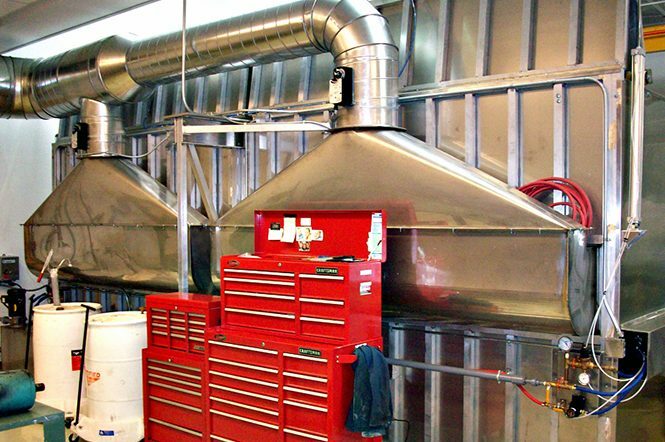 Our trained field personnel have extensive OSHA training and follow strict EH & S policies. 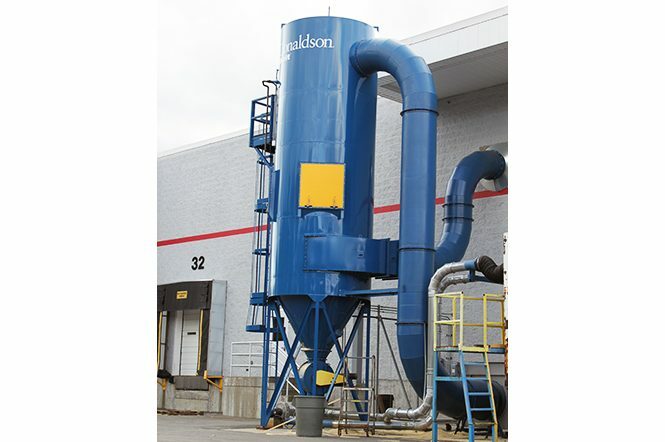 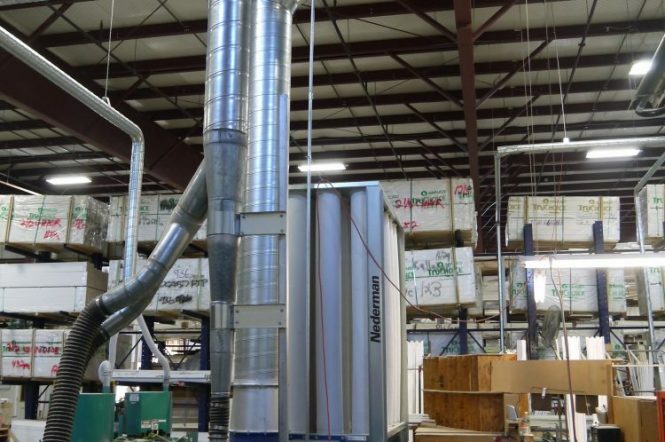 Macy Industries also has a proprietary dust collection system called the QuickLID. 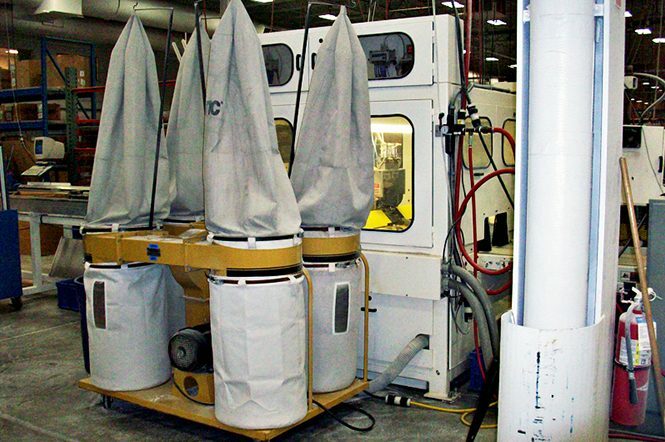 This product line allows seamless barrel replacement for high-dust applications in the automotive, paint, food, and manufacturing sectors. 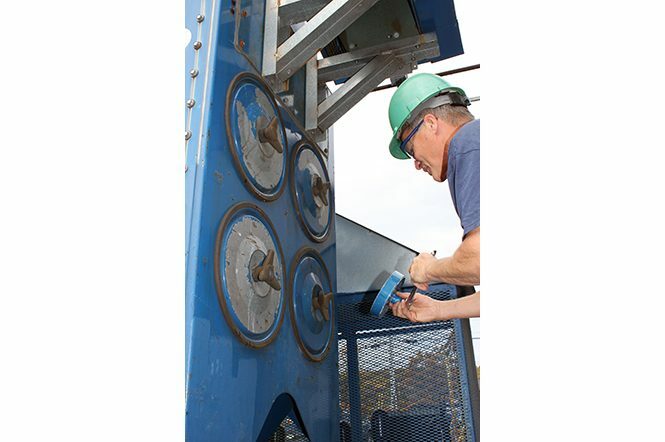 The QuickLID product line has significantly reduced operating costs and barrel replacement time. 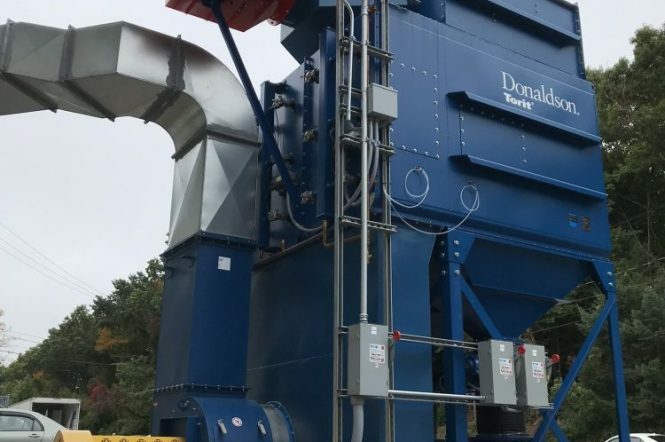 Please click here to learn more.